This red 1967 Fiat 850 2 door coupe/sedan is a partially complete body and chassis ready to be restored or customized. 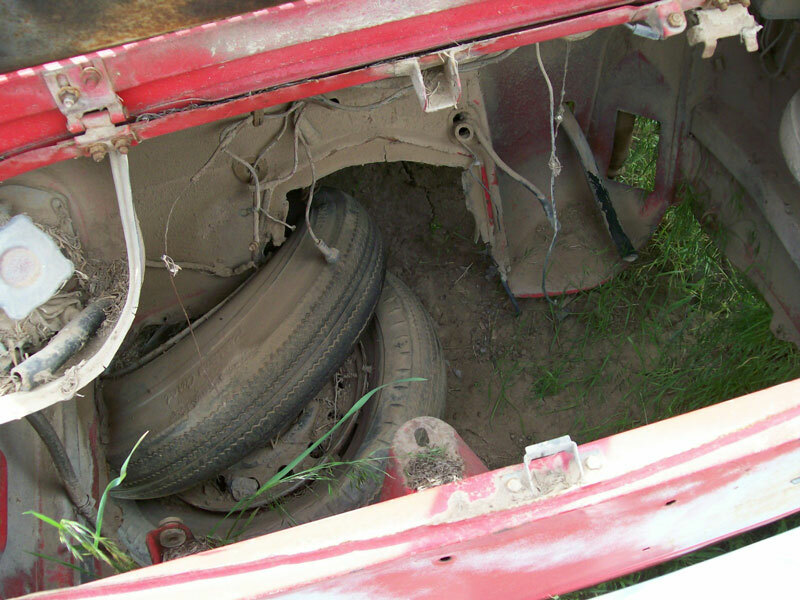 The body has solid and straight western desert sheet metal except there is some rust in the back of the left rear wheel well. All the glass is good except the left door glass is gone. There are dents in the front of the left front fender, in the back of the left quarter panel and in the rear right corner. The left headlight assembly is gone and the right headlight trim is missing. 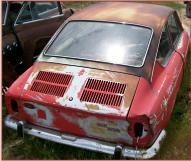 The tail lights are gone. 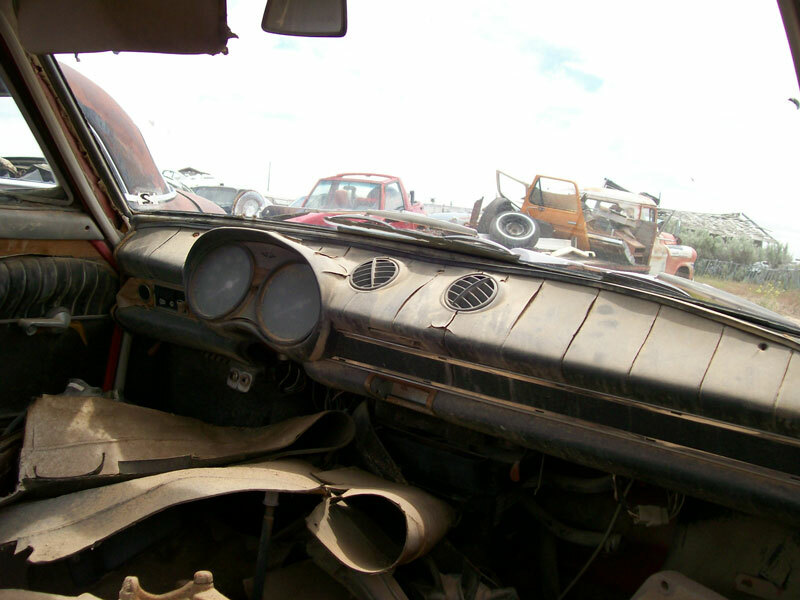 The black interior is missing the seats and steering column. Most of the dash and gauges are there. The floor looks solid. The 843 CC OHV inline four cylinder motor and 4 speed manual floor shift transmission are gone. 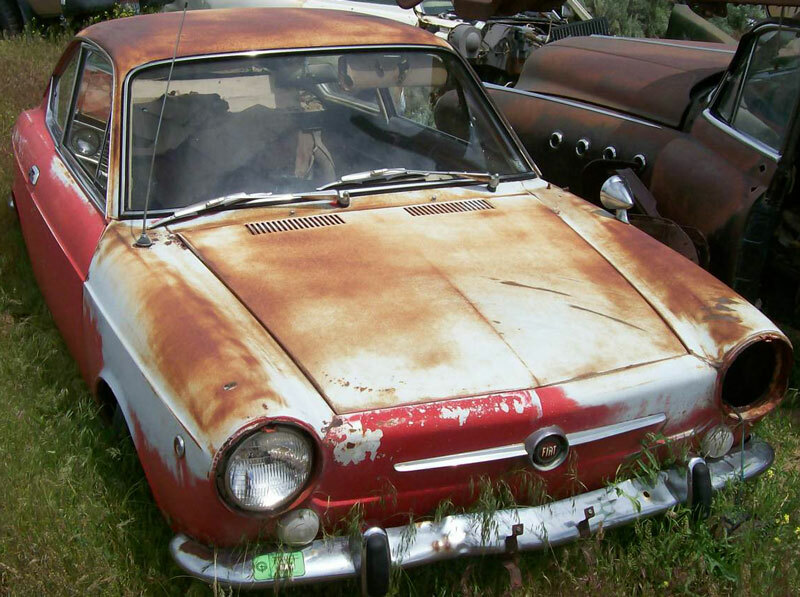 Here is your chance to restore a 67 Fiat 850 or use the body and components in your existing project. For sale $4,000.